Marketing insight is what helps businesses learn how to stand out, usually long after incorporating a business. It is a crucial component of all effective advertising strategies. In fact, it is a vital component for the success of all business operations. Without well-informed marketing strategies, businesses will not have the customers to keep their doors open for long. For those that new business owners that need to know more, learn all about marketing insight and its impact on overall business performance down below. First, it is important to know and understand what marketing insight actually is. Market insights can be sourced from a seemingly endless variety of sources. These sources include, but are not limited to, customer feedback or online behavior tracking. That is why marketing software is one of the top tech essentials for business. The marketing insight is the knowledge that comes from marketing data analysis. It helps you get to know your target demographic better. There are all different types of marketing insights out there that can benefit business in a number of ways. Market insights help enable businesses to create better advertisements to generate brand awareness or interest. When you know your audience better, you can better tailor business ads to the things that will entice them. Obviously, being able to create better, more effective advertisements is better for business. It allows new business owners a much better shot at surviving the first few years of business. 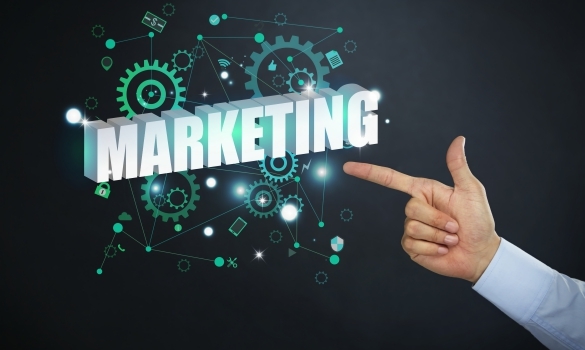 When you utilize marketing insights at your new business, you will be able to get a more holistic visual of the current market that you are entering into. Marketing insights tools provide the snapshot of a broad overview of market performance and other important market data. This affords business owners a much better idea of the actual market they will be breaking into at the time that they are starting a business. Clearly, that is sure to help new business owners looking to navigate the first rough years of business. Knowing how to improve customer satisfaction for business is another useful benefit that marketing insight solutions provide. Just as knowing your target market helps your better tailor ads to a particular audience, so too does knowing your customers help you improve customer satisfaction. You are better able to serve customers when you know what they want and need before they even tell you. Marketing insight will help you do just that to avoid the learning curve many other first year business owners must navigate. New business owners are able to make better business decisions when they are more informed. This is obviously a benefit that market research insights provide. Market data will give you the whole picture of the current market status. That holistic insight makes it possible to make better business decision. When you know about the current market climate, you can better predict what steps your business needs to take to grow and thrive. For first time business owners, this is an invaluable advantage over the other new business competition, like Travelhost and similar startups. First time business owners can learn a lot from conducting market research. Market research strategies will provide you with the marketing insight you need to give your new business a real shot at success and surviving the rocky first year of business. Consider the advantages of market insight detailed above when creating your marketing budget. You will surely want to prioritize marketing research tools in your budget to benefit from market insight.